The first in a series of three talks and performances to mark the centenary of the birth of Benjamin Britten. The Badke Quartet performs Britten&apos;s String Quartet No 1 in D major (1941). As a prelude to this return to the Gresham platform, I went back to the text of my last lecture as Gresham Professor, given some three years ago. That lecture was, like today, about a string quartet—then it was Beethoven’s Op. 95, now it is Benjamin Britten’s first (or at least first published) Quartet, Op. 25—and was, again like today, given in collaboration with the Badke String Quartet. At the end of the Beethoven lecture three years ago, I found that I needed—I hope not in conscious emulation of my subject, who was famous for his codas—my own coda of sorts. I talked about the various shapes that the genre of “lecture-recital” might take, and defended, as I want to do today, a rather strict division of labour. Then, as now, the plan was to talk for around thirty minutes; then allow the Badke to play in its entirety the work in question. As I said in my coda, musicologists are professionally wont (in their grander moments, in their dreams) to feel that they have special insights into a composer’s intentions and achievements; but most are painfully aware—I certainly am—that such insights have at best a tangential effect on listeners’ experiences of the music in question. They are also reminded periodically that performers and listeners are often unaware of the latest scholarship (and why not? they have other things on their minds). Small wonder, then, that musicologists gain comfort from talking to each other, often adopting a particular technical jargon that keeps non-specialists at bay. As anyone who has dipped a toe into the music-analytical literature will know, Britten’s compositions have been liberally sprinkled with such jargon-laden attentions, indeed he has become the subject of a formidable analytical industry, quite the equal of that devoted any composer born in the twentieth century. Much of this specialist work has been informative. It has—if nothing else—served as a corrective to those who have sought, in a common strain of Britten commentary alas occasionally still with us, to devalue his work as superficial and reactionary. 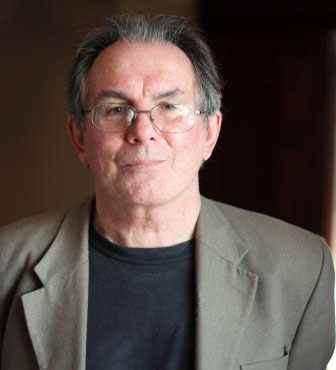 However, the Gresham project will not tolerate such inward turning: as always, the greatest challenge for its professors is to communicate to a non-specialist audience. Gresham lecturers need always to keep near at hand a dictum that the great literary critic Frank Kermode called “one of the less offensive precepts of Lord Chesterfield”. It goes like this: “Speak the language of the company you are in; and speak it purely, and unlarded with any other”. So that, today, is my aim. With larding implements safely sheathed and properly sequestered, I begin my exploration. Britten’s First Quartet was mostly written and completed in a tool shed, the shed in question being situated in Escondido, a small town in southern California, not far from the Mexican border. This circumstance immediately locates the work in what was a formative, traumatic and reputationally risky interlude in Britten’s famously mono-geographical existence: about as far from his lifelong residences on the chilly shores of East Anglia as can be imagined. The time was 1941. In May 1939, Britten had embarked on a ship taking him to the United States: not emigration, certainly, but at least a trip with an undefined ending. The motivations behind this sojourn were of course complex. A feeling that he was insufficiently appreciated in his home country was certainly one factor; the fact that his friend and sometime collaborator W.H. Auden had led the way possibly another; that his friend and soon-to-be partner Peter Pears wanted to go for professional reasons was certainly a third. But underneath the practical issues, and perhaps a deciding factor, was a feeling—common enough at the time among creative people and others—that Europe, then teetering on the verge of another disastrous war, was in terminal decline. For someone like Britten, who had intense pacifist views, this was a dystopian time to be a European. Before California, and apart from some concertizing here and there, Britten’s main US residences had been strongly contrasting. For a period of many months, he and Pears took up residence in the home of German émigrés William and Elizabeth Mayer, in Amityville on Long Island. At one point Britten became quite seriously ill, and was faithfully nursed by Elizabeth, who evidently supplied the kind of domesticity that the composer forever seemed to crave. However, in late 1940, he and Pears moved to New York City, to take up residence in a bohemian ménage ruled over (with, according to some, Hattie-Jacques-like matronly control) by Auden and with a constantly-changing entourage of friends and hangers-on. This was doubtless liberating in many ways; but it was emphatically not the routine that Britten needed. Hence his and Pears’s cross-country escape, which occurred in the early summer of 1941. The tool shed in Escondido was, in this sense, a welcome release and temporary haven. The major problem of the stay was with their hosts, a husband-and-wife piano duo for whom Britten wrote a number of pieces. The wife apparently fell in love with Britten, much to the consternation of all interested parties. The composer’s most recent biographer, Paul Kildea, tells us that at one point the husband “attempted to resolve the situation by withdrawing his claim to his wife”, a gesture that Kildea calls “a spectacularly misplaced act of gallantry”. Understandably enough, it all got too difficult, and the day after the Quartet was premiered in Los Angeles, in September 1941, Britten and Pears got on the road again, driving back to the East Coast and, a few months later, making a perilous ocean voyage back to England. This, in a nutshell, was Britten’s US sojourn, which had been at best a mixed bag. The financial rewards had not been as great as imagined; more seriously, the war with Germany, declared a few months after Britten had left home, exposed him to increasingly hostile criticism (as someone who had deserted his country in its hour of need). What is more, before he and Pears left the US in March 1942, Auden—perhaps piqued at Britten&apos;s desertion of the bohemian lifestyle—sent Britten a devastatingly direct letter, accusing him of arrested emotional development: “if you are really to develop to your full stature, you will have, I think, to suffer, and make others suffer, in ways which are totally strange to you at present”. Their relationship never recovered. On the other hand, the US period saw the emergence of significant new works, including (as well as the Quartet), the Violin Concerto, the Sinfonia da Requiem, Les Illuminations and the Seven Sonnets of Michelangelo; and also new self-assurance and breadth in Britten’s composerly voice. So, in sum, the trip to America was, at least in retrospect, an interstice in a life that was generally as uneventful—as undisturbed by external forces—as it was consistently productive in creative terms. What is more, it was an interstice that, during its final phase, became increasingly imbued with nostalgia and anxiety about the country left behind. Nostalgia for the East-Anglian seascape that would be forever Britten’s preferred ambience; anxiety about the war that thundered on, threatening his livelihood and challenging his pacifist views, and about the reception he would receive when he returned. Even amid this uncertainty, and perhaps in part because of it, seeds of future directions were emerging. One of the most significant events of the Californian excursion was a volume he found in an Los Angeles bookshop, a collection of writings that an article by E.M. Forster had already alerted him to. This contained the poems of Suffolk-born George Crabbe; among them was a long piece called The Borough, in which appears briefly an angry, outcast fisherman called Peter Grimes. How does the First String Quartet fit into this shifting ambience? In one sense, rather well. Some earlier compositions in the US, in particular the unfortunate "popular" experiment with the operetta Paul Bunyan, written in collaboration with Auden, were all-too-evidently American-themed. But the String Quartet, written in the trip’s final phases, looks resolutely back across the Atlantic. Indeed, as the nostalgic product of a composer far from home, nothing could have been more fitting than a string quartet. In the alarmingly prolific annals of Britten the juvenile composer, there are probably more quartets than any other genre, with examples charting the teenaged prodigy&apos;s various enthusiasms, from Beethoven to Mozart (the latter prized because he had a more “unruffled” exterior and was thus harder to imitate than the wilder, woollier Ludwig); then to Ravel and Debussy (this under the tutelage of Frank Bridge and then John Ireland). Finally, in something like a passing fancy, he even essayed the perilous extremes of Schoenberg—the Quartettino of 1930 has no key signature and even a note-row proudly displayed (albeit one of five rather than twelve notes). In other words, and like many a composer before him, Britten used the string quartet as a kind of sketch pad, a place to explore passing enthusiasms, with the looming “classical” giants always present to curb extravagance. In some senses, the First Quartet shows a regression from the experimentation of works such as the Quartettino. After all, as Britten—with a nice show of irony—wrote to its commissioner, the redoubtable patroness of the arts Elizabeth Sprague Coolidge, it’s in “would you believe it—D major!” Perhaps more surprising still (but then string quartets in the twentieth century have always had a way of bringing out the conservative side of their composers), it’s also in the regulation four movements of the most august classical predecessors, and even has traces of “sonata form” and other impedimenta of the distant musical past. All this is to stress that the Quartet is a significant milestone in Britten’s composing career: a site in which he confronted some complex compositional problems and solved (at least some of) them with characteristic invention., in the process entering into musical dialogue with his predecessors in a process driven by what the literary critic Harold Bloom famous called the "Anxiety of Influence". There is certainly no doubt that the first movement presses some classical buttons. Like many a Beethoven piece, for example, it has a slow introduction that self-consciously explores unusual textures, is quasi-improvisatory, and that then periodically interrupts the sonata-form progression of the movement proper. The music-analytical Britten industry that I mentioned near the start of this talk supplies many dense pages demonstrating the “fact” (note the scare quotes) that—coherence always being the desired outcome—the introduction and the main movement are bound together by ferociously complicated motivic means; but for most of us it may be more profitable to think about this movement as one of daring (perhaps even glaring) disjunction. The slow introduction begins, as Britten promised Mrs Coolidge, in “D major”, indeed with a prolonged celebration of that chord; but this is a D major unlike any other, placed extraordinarily high, with the three upper instruments at the very limits of audibility and range, and with the cello’s guitar-like pizzicato isolated far beneath. This strange texture (imagine a late Beethoven slow movement on helium and you’ll be halfway there) gives way to an Allegro vivo of driving open strings and then a melody that often inhabits the same stratospheric range as the slow introduction, and is subject to fairly rigorous contrapuntal treatment. The extreme alternation, between serene slow sections and the driving Allegro, structures the entire movement. In spite of the fact that Beethoven is an obvious formal model, the overall impression might well be of bafflement: why such extreme contrast, almost as if two completely different movements have been forced together? If this is indeed the effect, then the second movement, a chugging Allegretto con slancio, none too distant from the mood of the first movement’s Allegro, is unlikely to clarify very much. For one thing, it is, in comparison with the first movement, remarkable short, lasting barely three minutes while the first movement was three times that length. This, and the gestural similarity, makes it function as something like a coda to the first movement, although a highly developed one, with some startlingly original quartet textures that alternate with ferociously demanding unison passages (a whole dissertation could be written about unison in twentieth-century music, but don’t worry, I won’t go there today) and sections in which angry stabs of melody seem violently to disturb the potential joviality of the repetitive rhythms. With that brief movement over, you’re half way through the Quartet, and on the brink of what most would agree is the work’s greatest glory: a slow movement of quite outstanding beauty and impressive length. How to encompass it in words? In a perceptive review of the work’s premiere, the Los Angeles Times critic dubbed this movement “In Memoriam for a Lost World”, and perhaps that is as apt a description as any. It is set in the unusual time signature of 5/4, which might create a constant sense of rhythmic instability but actually gives the impression of amplitude and freedom: an improvisatory atmosphere. Mostly the movement is a game of couples: at the beginning, for example, two instruments (the violins) sustain an unchanging drone while the other two (viola and cello) explore together an impassioned, mostly stepwise melodic arc. Yet again, the inevitable point of comparison is late Beethoven, a connection made even more forcibly when, in the latter stages of the movement, each instrument in turn explores angular, declamatory gestures: almost a wordless recitative, an attempt to cross the barrier between music and words. In the textural simplicity and piquant harmonic clashes, there are even hints of a much older “lost world”, that of Purcell and those other ancient English composers to which Britten was so attached; and also more than a hint of the famous “Moonlight” sea interlude of Peter Grimes, Britten’s music of the future. Perhaps most moving of all for us is the thought of such music emerging so very far from home, the product of a young man looking eastward, anxiously, nostalgically from his so-temporary Californian residence. “In Memoriam for a Lost World”, indeed; and for some reason, that famous passage of Novalis also comes to mind: “Wohin gehst du?” is the question; “Immer nach Haus” the answer. After all this intensity, the last movement of the Quartet is, like the second, another coda-like inspiration, a mere three minutes when the slow movement lasted more than ten. It begins with a melody that cheekily gestures towards closure, and develops by means of a playful fugato (the kind of texture that conventionally appears at the end of a movement). This is the topsy-turvy world of Verdi’s Falstaff (or indeed of that composer’s string quartet, although it’s unlikely that Britten knew the latter work): one in which academic forms and devices are used in unconventional, destabilizing contexts. Later on, there are brief reminiscences of earlier movements, in particular a pause, perhaps disquieting, on the tonal and melodic sphere of the slow movement; but the Quartet ends in a show of fireworks, with ferocious technical demands (the viola, Britten’s own instrument, particularly exposed) and, at the last, an almost desperately emphatic return to—would you believe it?—D major. 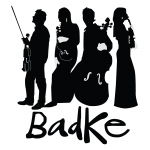 Talking to the Badke Quartet as they have developed this piece has been fascinating (and I talk to them quite often, in part because—declaration of interest here—one of them is my daughter). As you will hear immediately, the piece poses extreme technical demands on the players. Initially conceived for the famous Griller Quartet (an English ensemble of great distinction in the postwar period), it was eventually premiered by the Coolidge Quartet, a renowned US ensemble, although the Grillers did give the piece its UK premiere in 1943. You can hear recordings by both groups (alas in neither case did they record this Quartet, at least so far as I can discover) on that precious modern archive that is YouTube, and even a brief exploration will demonstrate how musically sophisticated these yesteryear ensembles were; what is more, their discographies testify to a steady commitment to what was then modern music. Even so, this Britten Quartet must have stretched them to the limit. However, the Badke have told me that at least as challenging is the need to control the total effect of the piece, in particular to find a satisfying way of dealing with the extreme imbalance between the lengths of the movements. How does one project the brief second and fourth movements, which—as I said—could almost be thought of as codas to the movements that precede them? As a musicologist, I’m tempted to say that Britten was still self-consciously experimenting at this relatively early stage of his career (we should recall that he was still in his twenties in 1941), and that the extreme contrasts of the first movement and the lyrical intensity of the third permitted expansion, while the other movements couldn&apos;t sustain further elaboration. But performers have somehow to project a sense of cohesion to the whole. In this case, how is that to be done? I could continue with such questions, but I’m aware that if I stop now, there may be time at the end for you to address some of your own to the Badke Quartet. So let me end here and, for the first time in three years on the Gresham stage, introduce to you the Badke Quartet. Please join me in welcoming them: Charlotte Scott, first violin; Emma Parker, second violin; Jon Thorne, viola; and Jonathan Byers, cello.